Horses are beautiful and amazing but they are also animals that act on their own free will. If you are a horse owner, trainer, or involved in the equine industry, it is very important you take the proper precautions and learn as much as you can to ensure you never have to deal with a lawsuit. If you run a equestrian services such as horse camp, riding lessons, guided trail rides or pony rides, it is important you carefully observe your riders and the horses you assign to them. If the person falls off the horse or sustains any injury, you can be liable because they can say you were negligent in assigning horses. The best thing you can do is really analyze the riders and determine their experience and comfort levels. If any rider is having difficulty, swap the horse immediately. Communicate with the riders shortly into each session to ensure they feel comfortable and address any concerns they may have to work on any problems they have. A rider can have problems with fear, balance, coordination, basic control of their bodies, and with cueing the horse’s direction, speed, slowing and stopping. Some people think helmets are only necessary for jumping. However, horses can be unpredictable and considering the height from which a rider could fall from a horse, about 20% of riding injuries involve the head of the rider. Always require that any rider of a horse wear an ASTM/SEI- certified helmet, if under legal age, and provide warnings about wearing protective headgear in writing and verbally to all riders prior to mounting. Many stables require that all riders wear helmets, while some allow of-age riders to sign-off not to wear one. It can be great helping out a friend with their horse but if something happens to the horse under your care, things can go bad because your friend will expect you to take care of costs. If you want to assist your friends, always make sure your insurance covers it. If not, look into plans that ensure you are covered for moments with non-owned property in your custody. It is also wise to be sure the horse owner carries liability insurance to cover their horse activities and their horse, in addition to property coverage on equipment you are hauling for them. If you are going to allow someone outside your family to ride your horse or use your horse in some way, have them sign a written agreement containing a liability waiver. However, it must be read and signed prior to the activity. As a member of the North American Horsemen’s Association, you will have access to a wide array of well-written and proven contract and release agreement models, which can be modified for your use. A mistake a lot of people make is when they think their regular homeowner’s insurance (or farm owner’s policy) covers their horse and other property. 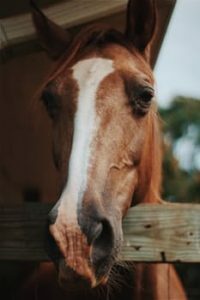 It is important to know for certain if your homeowner’s policy does or does not insure personal horses for liability and if there are any horse-related exclusions or restrictions in the policy. Some policies have a limit on how a horse may be used, how far it is covered from home, or how many horses are insured. You may need to buy a Personal Horse Owner’s Liability Insurance Policy to adequately insure your horses and activities. One thing is certain, if you use your horses in any commercial way, that is, use their expenses in your income tax returns; if you are paid in relation to the ownership, lease, breeding or other uses of the horse that involve payment in dollars or in-kind to you the owner, you are considered to have commercial horse business activity. Your homeowner’s policy will not provide coverage for any commercial use. You will then require a separate commercial equine liability policy to insure your horses and your commercial horse activities. Overall, if you are thinking about owning a horse or being in the equine industry, the best approach is to properly research information, read your current liability policies, ask experienced owners, or better yet, call and visit with an equine insurance specialist. For high quality equine liability insurance advice and horse insurance plans, trust in the experts at Ark Agency! To learn more about our horse insurance and other livestock mortality insurance, please give us a call today at 320.243.7250 or 800.328.8894!